Guest Blogger – The Retirement of the Baby Boomers….real or fantasy? My initial thoughts on the pending dilemma of retiring Baby Boomers within my industry were that of alarm. The knowledge and skill set that would be lost is an issue that most US institutions face daily. My background is in the engineering field where I have always worked with the Utility, Industrial, and Government markets. Therefore, when I work for a company that averages 36% of their workforce being Baby Boomers, I find myself cringing. Anyone who works in a diverse age group of people (or to be politically correct, we’ll call it a “multigenerational” workforce) know that these work environments can breed misunderstanding and conflict and may compromise growth. And as I begun thinking this dilemma through, a few points cropped in this crazy blonde brain of mine….that’s right, I do have real moments of clarity at times! 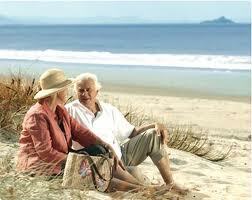 With the financial and economic crisis these past few years, many soon-to-be retirees are choosing to stay employed. The trend of salaries for Baby Boomers is significantly higher than that of entry level employees. Therefore, my company is noticing a decrease in project awards due to the fact we are out pricing ourselves with our competitors. With the Baby Boomers continuing to work longer, we are not bringing in younger employees to mentor out of college. The employee pool is becoming stagnant. So what is the answer? Is the issue of retiring Baby Boomers really a crisis or is it just an adjustment period for employers to incorporate new blood? Dave Bernard of U.S. News stated that retirement can be a time to explore creative new avenues, and put the skills you have cultivated throughout your career to work in new ways (June, 2012). He is dead on when I notice that many retirees are returning back into the engineering field as “consultants” or they are reducing their hours to continue their insurance coverage and reducing their pace a little. However, the demands on today’s knowledge workers are more mental than physical. Many baby boomers, who have already begun to reach age 65, are far from physically exhausted and often have much more to give (Bernard, 2012). Whatever happens, the baby boom retirement crisis is bound to have its unexpected turns. As they age, they’ll surely continue to change the economy, though the effects are hard to predict (Gelinas, 2011). Employers today must strategize on how to best incorporate the knowledge skills from these employees through Mentoring programs or Internships. Ultimately, we must stay competitive in the marketplace to keep the jobs here at home. Bernard, D. (2012, June). Baby Boomers Search for Second Careers. U.S. News. (http://money.usnews.com/money/blogs/On-Retirement/2012/06/01/baby-boomers-search-for-second-careers). Gelinas, N. (2011, November). As baby boomers retire, the times will be a-changin.’ The Los Angeles Times. (http://articles.latimes.com/2011/nov/06/opinion/la-oe-gelinas-baby-boomers-retire-20111106). Please share your comments with this industry leader. Brandi Reilly currently works for Mesa Associates, Inc., a multidiscipline engineering design firm based out of Knoxville, TN. 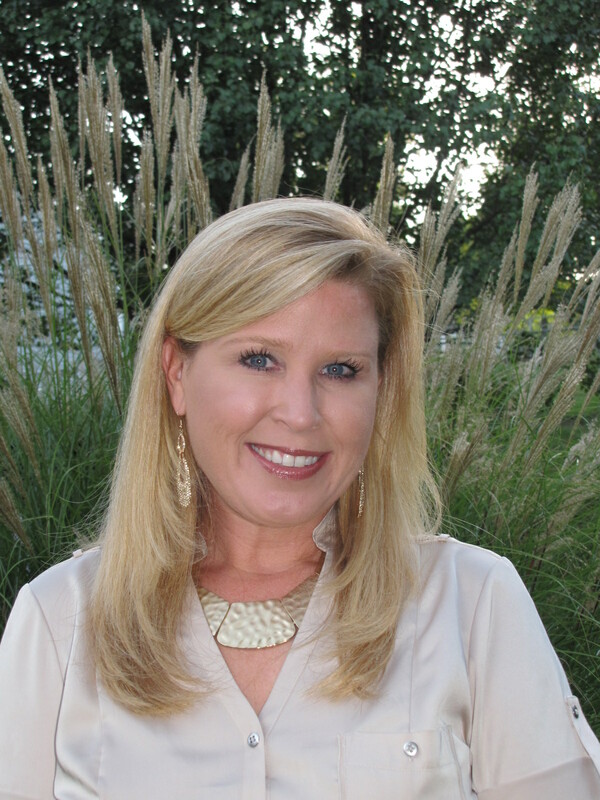 Her experience spans 16 years in engineering, project management, and consulting services. She graduated from Clemson University with a Bachelor’s degree in Environmental Engineering and recently completed her MBA at Lincoln Memorial University in 2011. She has completed her Project Management Professional (PMP) accreditation and is currently pursuing her Professional Engineering (PE) license. In Spike Lee’s 1989 acclaimed movie “Do the Right Thing,” he places the characters at the center of making difficult decisions. It’s a classic drama—and a perfect way to continue our generational discussions! During the hottest day of the summer, life forever changes at Sal’s pizzeria in Brooklyn. Two customers demand that Sal change his “Wall of Fame.” The confrontation heats up to racial slurs and physical threats. Violence erupts! Da Mayor, a street bum, encourages the mob to make good decisions. However, Mookie (Spike Lee) opts to follow his emotions; it changed the dynamics of the situation. The 1980’s movie classic highlights the racial tension between two ethic groups. In the movie, Da Mayor provides Mookie with some advice: “Doctor, always do the right things.” Given another chance, Mookie might have changed his actions. Unfortunately, too many managers won’t. Are today’s managers willing to make the best decision so that future managers are primed for success, not defeat? It’s an interesting thought when you consider the possible generational volcano that may erupt at any time. Several years ago, I read Daniel Kadlec’s column about the Baby Boomer transformation from being a “Me Generation” to a “We Generation.” Although I applauded Kadlec’s insight, I was hesitant to make this great leap of faith in the Baby Boomers yet. Let me say that this belief should not be conceived as ‘hating.’ I am Gen X as you might not know. I have used environmental scanning to witness the significant demographic shifts in our nation. Are Baby Boomers now ready to relinquish their stronghold of leadership? We can’t be certain due to that fact that the storyline is incomplete. Let’s wait until the economy settles. With the rocky rollercoaster ride of the stock market, Baby Boomers don’t enjoy life as much because of the decrease in their disposable income. Some individuals have the extra burden of caring for parents and children. These realities of life keep Baby Boomers working well beyond their desires for retirement. In the past, Baby Boomers have been early trend setters. A study from the Center for Retirement Research at Boston College explains that the average retirement age in the U.S. is 63. Unfortunately, this retirement study reveals that many individuals will need to work longer so that they will have adequate retirement reserves. Andy Hines, the director of Customer Projects at Social Technologies, predicts that Baby Boomers will refine the meaning of retirement and notes, “U.S. Baby Boomers are choosing post-work lifestyles that don’t resemble the stereotype of the quaint, restful senior citizen.” As you know, Baby Boomers are the top leaders of most organizations and will find it difficult to separate themselves from their positions of power and influence. Will they be willing to make the right decisions for their successors or themselves? Other observers believe that Baby Boomers will leave graciously and pass the baton to the next generation of leaders. I have my own doubts about the outcome. If Baby Boomers extend their stay in organizations and maintain their leadership positions, what do you predict the response of leaders in waiting? How can organizations address this issue without inflaming Baby Boomer leadership and not losing future leaders who refuse to wait? I try to pay attention to the game as the assistant coach. However, I am bombarded by begging from players on the bench: “Brother Green, can I get back into the game?” I try to ignore by pointing: “Ask the coach.” Every weekend was like déjà vu for me. A bunch of 8th graders were trying to tell us they were just as good as high school athletes. These 8th graders were undersized and no match for more experienced ‘ballers.’ The basketball league was designed for high school students. I felt they should be graceful to be allowed to play with our high schoolers. Instead, it was a steady stream of complaints and ingratitude from some 8th graders. I wondered how I got stuck with Gen Next. Today’s organizations face unprecedented competition from all fronts. Many institutions desperately need to infuse their organizations with fresh leadership and new ideas. Yet, there is a hesitation for this transformation. Many baby boomers argue that the current generation is not ready. These young workers are called many names such as Generation Y (Gen Y), Echo Boomers, or Millennials (born 1977 to 2002). Most experts predict the generation will be a major factor in society. There are more than 70 million of them. For the first time in American history, organizations have four different generations in their workforce. Sadly, it’s not without problems. Companies don’t understand this young generation. They desire to share in organizational decisions on day one of employment and be promoted instantaneously. With managers who had to ‘pay their dues.’ The Gen Y mentality is a hard pill to swallow. Unfortunately, some managers distort the work value of this emerging generation by stereotyping them as selfish. Baby boomer managers complain about the difficulty of managing Gen Y employees. But, didn’t these baby boomers raise them to be narcissistic anyway? Therefore, it isn’t fair to label them totally as expecting entitlement. Twenge and Campbell note, “Parenting became more indulgent, celebrity worship grew, and reality TV became a showcase of narcissistic people.” One must wonder what Gen Y will pass along to their own children. As more baby boomers retire, a new generation of leaders will replace them. These new leaders will cross age, gender, race, and geography. I certainly hope that Gen Y can overcome the negativism surrounding them and be prepared to accept future leadership roles. I pray it’s not too late. Is the Age of Narcissism solely a characteristic of Gen Yers? How can organizations infuse the right kind of team-oriented values, given cross generational conflicts?